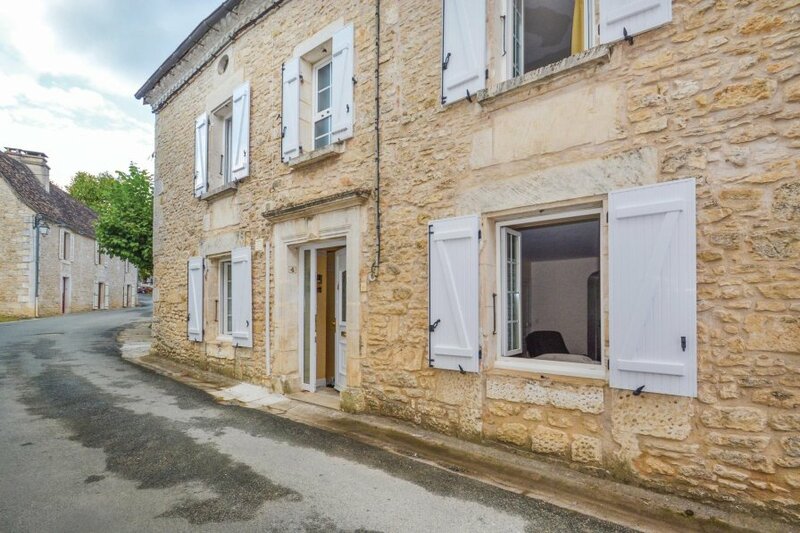 This charming terraced townhouse is located in the center of Savignac-les-Eglises, approximately 18 km from Périgueux. 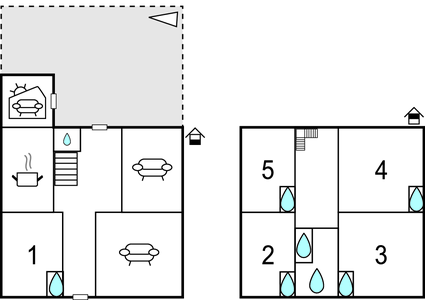 It boasts five bedrooms, four of which boast a shower and sink. This charming terraced townhouse is located in the center of Savignac-les-Eglises, approximately 18 km from Périgueux. It boasts five bedrooms, four of which boast a shower and sink. You will also benefit from an elegant living area, a spacious kitchen and a dining area.The holiday home is ideally located for guests wishing to discover the enchanting Périgord Blanc region. It is situated close to Le Causse de Savignac, a 400-hectare nature park where you can enjoy mountain biking and hiking. Brantôme, which is also known as the Venice of the Périgord, is roughly 30km away and the impressive Lascaux Caves are 40km away. Also worth a visit is Sarlat, which is 60km from the holiday home. Please note, the road next to the house is very quiet. Cars can be parked in the street, approximately 50 meters from the holiday home. The neighboring house can be rented under the reference FAD383. This villa is made from brick or stone and was originally built in 1920 and refurbished in 2016. The agent has rated it as a three star property so it is a well-kept villa, equipped with standard furniture. It is also good value for money. This villa has use of a shared pool and is located in Savignac-les-Églises, only 18km from Perigueux. It is set in a good location: there is a restaurant 4km away.